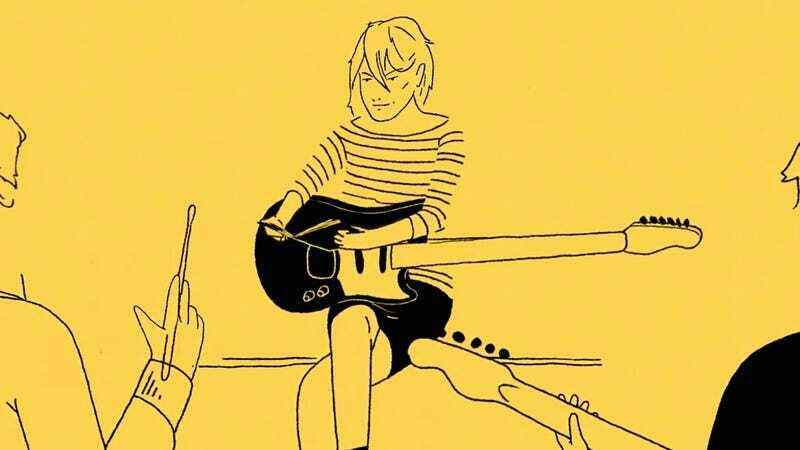 California Sunday Magazine, in conjunction with Google Play, has created a new animated interview project with Sonic Youth bassist Kim Gordon. In the video, which is part of a California Inspires Me series, Gordon expounds upon the many ways in which she was impacted and influenced in her time as a resident of the Golden State. In between describing her affinity for the smells of night-blooming jasmine and stunning views of the Santa Ana Mountains, Gordon also talks about her earliest forays into music, discussing how as a child she “used to pull out record covers and I would line ‘em up and make a narrative story, listen to each one and enact it in some way or dance around the house.” She also discusses her first band, a noise-garage group formed in art school and their disastrous first gig at the Ann Arbor Film Festival before delving into her eventual move to New York City and her first forays into the nascent underground no-wave rock scene. Gordon has a new autobiography out now titled Girl In A Band: A Memoir.